Our Handmade, Made Upon order shoes from Karo's Shoes are hand crafted with all real materials at the time you order them. This design is a open toe and back, clear front with flower design with rhinestone detail, metal heels. ( Available in 4 Colors ). Karo's Shoes Handmade, Here in the U.S.A, Made upon Order Baby Pink and Clear with Rhinestone open toe and back , buckle closure. Metal heels. Karo' s Shoes Made Upon Order, Handmade Clear and Orange 4 inch heels with open toe and back. Metal heel. Karo's Handmade, Made Upon Order Clear with Baby Pink rhinestones. Open toe and back. Front buckle closure. Karo' s Shoes Handmade, Made Upon Order Clear open toe and heel. Metal heels. Karo's Made Upon Order, Handmade Black and Clear with Rhinestone spider, open toe and back. Metal heel. Karo's Handmade, Made Upon Order, open toe and face leather with chain detail Black 4 inch heels. 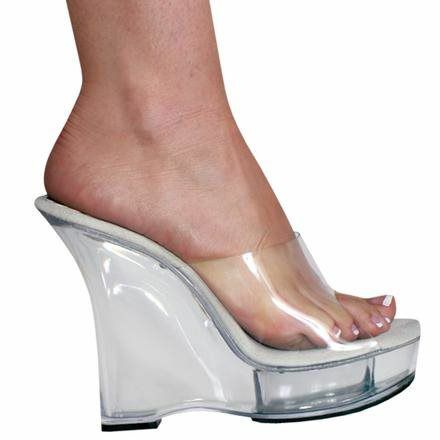 Karo's Handmade, Made Upon Order, Clear open toe and back wedge with 2 inch platform and 5 inch heel. 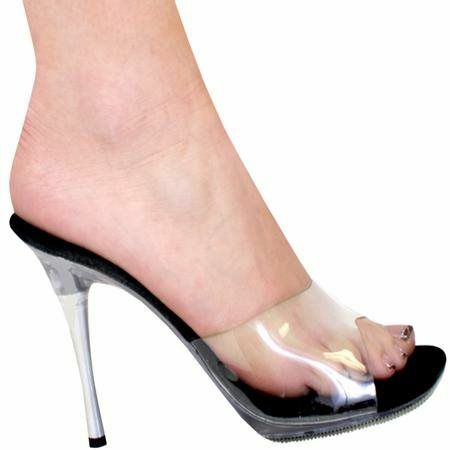 Karo's Made Upon Order, Handmade Black Patent Leather and clear heel. Open toe and back. Buckle front closure.